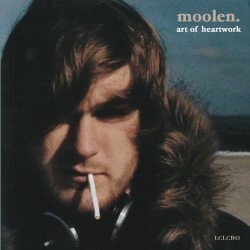 The LCL netlabel is synonymous with original, edgy and creative Dub, and for this new “Carte Blanche” release, Moritz Beller aka “Moolen” take us by the hand for an emotional journey thru post-rock and electronica landscapes that seems at the same time odd and familiar. The master of both multiple instruments and sound production by this Hamburg based artist allows him to deliver an ambitious yet intimate mini LP, bridging ambient fields and saturated episodes. We caught up with Moritz Beller to find out more about the sound. dR: So, where did the name “Moolen”come from, is it made up? MB: Some People near my Hometown add a “-len” as a suffix to a word. the shortform of Moritz is usually “Mo”. So you have “Moolen”. dR: What is your main inspiration for your sound? MB: This is really hard to explain – especially in english language! I listen to a lot of music, especially the borderzone between electronic and analogue music. I like to absorb every sound in my memory, mix it in my mind and try to re-create this sound on tape. dR: So, what albums have you listened too lately? dR: And what was your first record you bought? MB: Mhhh… Puddle of Mudd – She hates me. Embarrassing! dR: Recently, we celebrated a global “Record Store Day” on dirtyradio, do you shop at record stores often? MB: I’m not often in a record store. i have no time (i take no time) to hang around in the record store and listen to music. I usually pre-listen it online and buy it when i get the chance. dR: How do you think net labels will shape the future of electronic music? MB: I’m really new to the Netlabel-thing. In my view the netlabel-“scene” is a kind of a parallel Music Industry without money. So there is no need to produce, distribute and promote commercial music. An artist is absolutely free in the way of making music. I dont think that the netlabels or the Creative Commons shape the future of electronic music. The Producer / Artist and the technical environment will shape the music. dR: With that in mind, are there any particular techniques that you use to achieve your sound? MB: Well, i don’t use any technique consciously. I just play with my Sequencer Software and the Audio Effects. In a retrospective way i see that i have used a lot of layering. The beginning of “tapedeck” is just a lot of layering work using ePiano and a handful of guitar-flagolette tunes. dR: Do you play out live often? What sort of set-up do you have? MB: I’ve never played my music live, yet. But im on it. It is really really hard to find musicians. The implementation of electronic and acoustic music is really hard to organize and to quantize. dR: What advice would you give to up and coming artists? MB: In the future, of course! The album is in rotation on dirtyradio as our a Album of the Week.